Pixellu SmartAlbums 2 Cloud Proofing was created to simplify your album workflow, making communication with clients fast and clear. 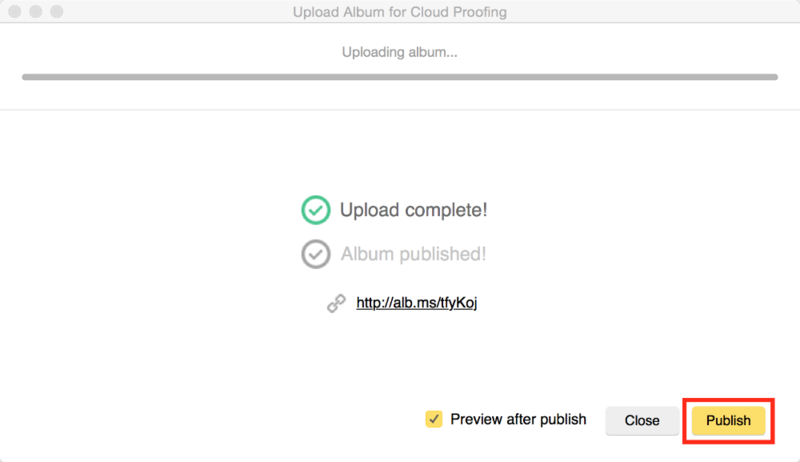 Email invitations and notifications help with the automation of the album proofing process. During the the upload stage, add a client to whom you would like to send an invitation. Make sure to check the option to Send email invitation upon publish. The email invitation will only get sent once you publish the album after uploading. Note: the email invitation will not be sent to your client(s) until you click Publish. If you would like to review the album before publishing and sending an invite, click on the URL in the middle of the screen. Forgot to add clients or send email invite? 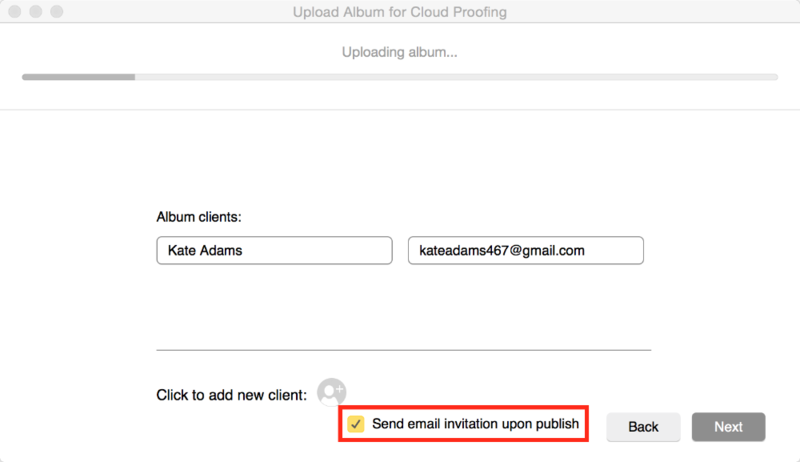 To add a client or send an email invitation, simply repeat the album upload process by going to File > Cloud Proofing > Export and Upload inside of SmartAlbums.